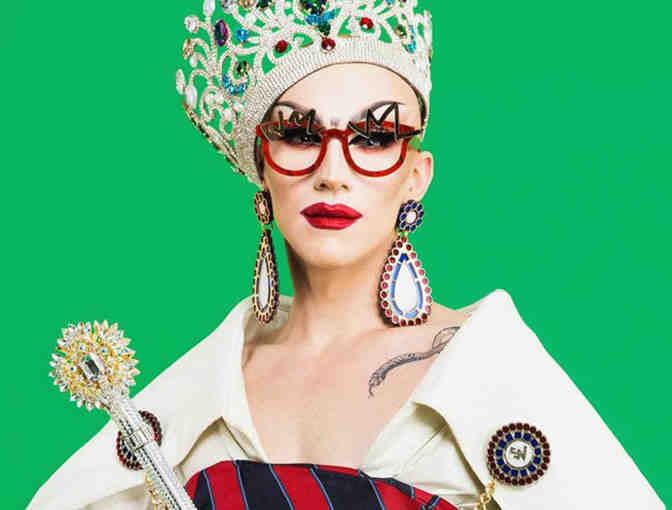 You and nine of your best squirrel friends can get to experience opulence, glamour and splendour with the reigning queen herself, Sasha Velour. Get the royal treatment while you hold court on the enclosed balcony of The 519's Grand Ballroom, overlooking the sights and sounds of Disco Disco in the realm below in Barbara Hall Park. Your experience comes complete with your own private bartender and white glove catering. It's an eleganza extravaganza that's fit for a queen. All proceeds of this auction go directly to The 519, Canada's largest LGBTQ2S community centre, and will directly support its vital year-round community programs and services. Ready to meet Sasha Velour and live in the lap of luxury? Hurry, bidding closes June 20 at 11:59 pm EDT. Your support matters, so 519 Church Street Community Centre would like to use your information to keep in touch about things that may matter to you. If you choose to hear from 519 Church Street Community Centre, we may contact you in the future about our ongoing efforts. Copyright © 2003-2019 519 Church Street Community Centre and BiddingForGood, Inc. All Rights Reserved. Designated trademarks and brands are the property of their respective owners.